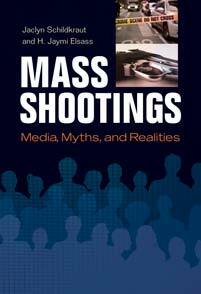 This book provides readers and researchers with a critical examination of mass shootings as told by the media, offering research-based, factual answers to oft-asked questions and investigating common myths about these tragic events. It tackles common misconceptions about mass shootings perpetrated by and through the media and provides information that grounds the realities of such events in empirical evidence, as well as explores the history of mass shootings, both before and after the infamous 1999 Columbine High School event and shootings that occurred in and out of schools. The book also addresses common myths associated with mass shooting events by the media, such as how often and where they occur and the absence of any warning signs and helps readers understand the realities of these events, including their international reach, the potential warning signs, and how evidence associated with the events can provide clues into why they occurred.